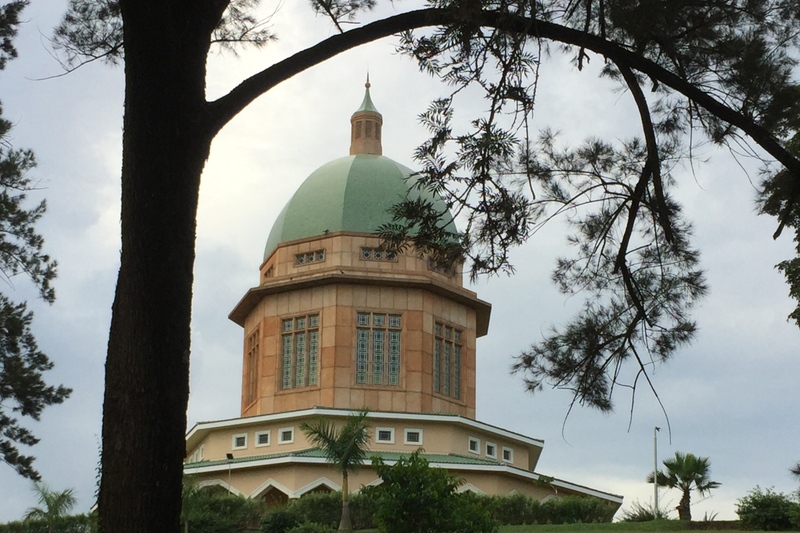 After the hustle and bustle of Kampala, you will enjoy peace and tranquillity on a tour to the Baha’i Temple. 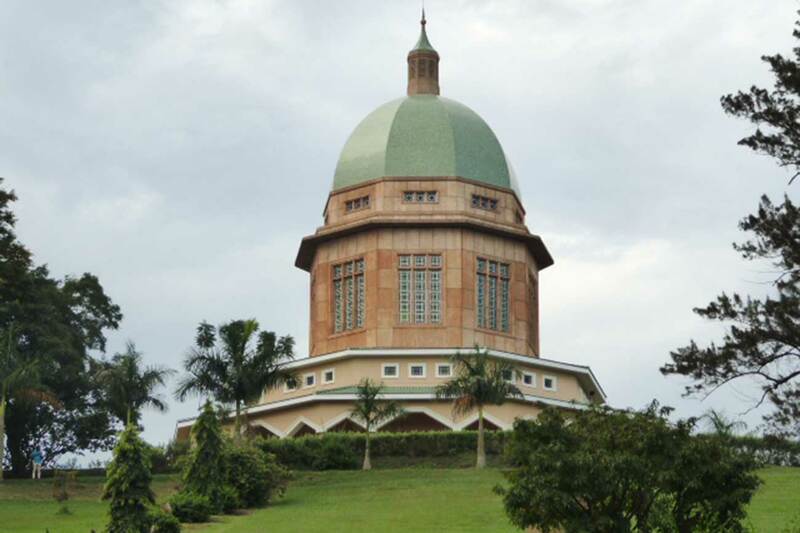 The beautiful building was built about 40 years ago on Kikaya Hill, just 4 miles from Kampala. It is also known as the ‘Mashriqu’I-Adhkar’. Translated from Persian, this means ‘the dawning place of the praise of God’. Perched on the hill’s crest, it soars majestically above the beautiful landscape, projecting harmony and joy. You will find many species of trees in the carefully tended gardens on your tour to the Baha’i Temple. 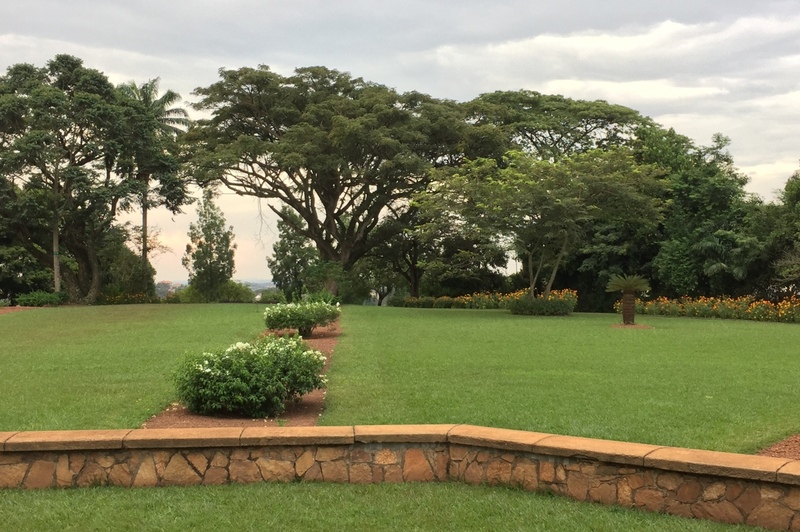 The flowerbeds spread out to form columns that widen from the top to the foothill. This symbolised the narrow path to heaven’s gate. There is only one Baha’i temple in each continent. 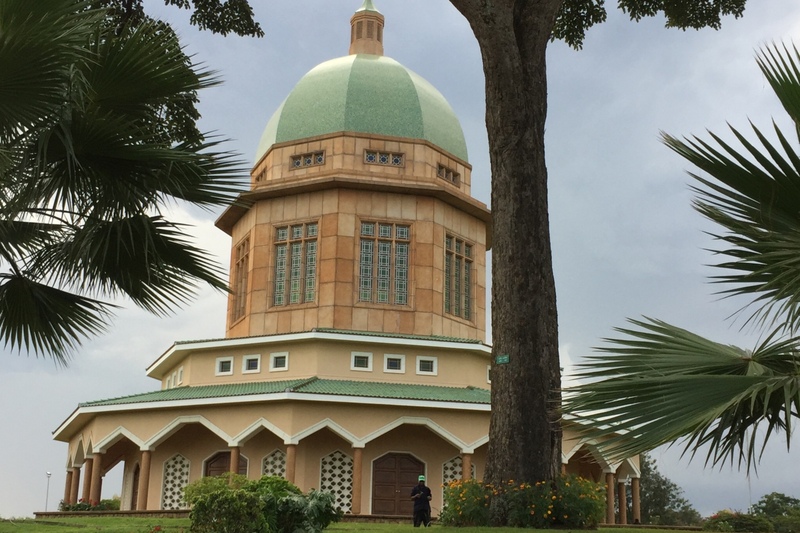 So the decision to locate Africa’s only Baha’i temple here turned Uganda into Africa’s spiritual heart for the Bahai. The progressive Baha’i faith aims to unite all races in one universal cause and common faith. Knowledgeable guides can share more about the religion when you visit. 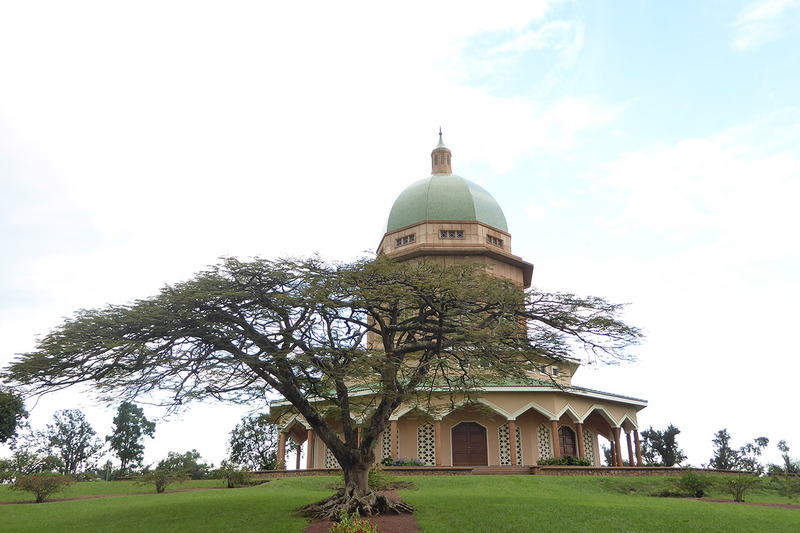 This beautiful, tranquil site is not only a place of worship but also a home to a variety of bird species. These include the common bulbul and Eastern Grey Plantain Eater.